D2C is a huge disruptive force in retail and logistics. Retailers are losing, brands are winning, and Amazon is laughing all the way to the bank. This post is by Matthew Ferguson, Director of Business Development at ecommerce agency Emanaged and Director of Strategy at consultancy Rich Insight. Business-to-consumer and business-to-business are old concepts in the retail industry. Stores sell to the final buyers, but themselves need to buy stock from manufacturers, suppliers and distributors. They buy from businesses and they sell to consumers. Historically, it’s always been done this way. Direct-to-consumer, or D2C, is where brands cut out the middleman and sell their wares straight to the buyer. While this is great for us, as consumers, it’s causing alarm among many retailers and suppliers. If we can order online, why do we need to visit a physical store? If the brand or manufacturer is selling their product directly to us, what role do retailers and distributors have to play? The last 5 years have been particularly dramatic. Amazon, once a humble online bookstore, has switched on its “beast mode”, causing competitors to adapt, adjust and at times simply freak out. Online marketplaces, led by Amazon, have changed the landscape and broken the conventional flow of products along a long supply chain from manufacturers to consumers. In contrast to those traditional retailers and distributors, direct-to-consumer is a battle that Amazon just can’t lose. 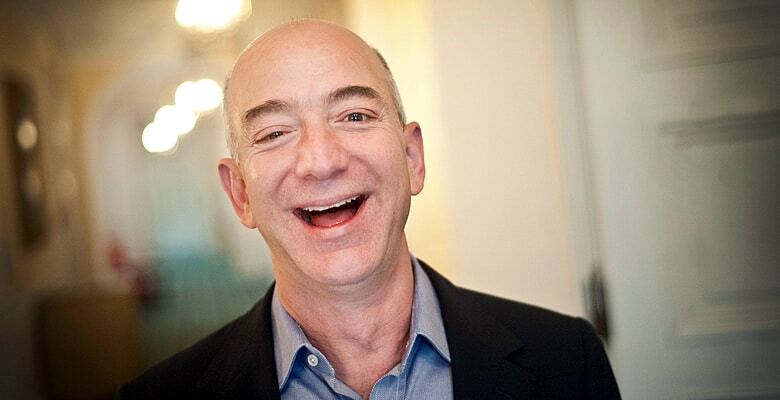 Here’s why D2C has Bezos laughing all the way to the bank. We haven’t had the internet very long at all, considering that we’ve been on this planet for 200,000 years. On that timescale, ecommerce has barely been around for more than a blink of an eye. But in that blink, it has evolved beyond all recognition, becoming a widespread industry with ecommerce college courses, ecommerce job titles and all sorts of e-terms for your e-thoughts. In barely the time it takes for a newborn baby to become a hormone-fueled teenager, we’ve gone from shopping in stores to ordering anything we want at the push of a button, sitting at home in our underwear. If you didn’t want to ever leave the house to shop, you don’t have to, in many parts of the modern world. Amazon has been a key catalyst for this shift, and we’re witnessing the effects in the news every day. How many huge store names are going bankrupt, or closing a large proportion of their physical outlets? How many suppliers and distributors are now selling direct to consumers, or adding their own brand to products that previously bore their retail partner’s names? Amazon has accounted for both profiles – suppliers selling direct, and suppliers developing their own brands – with its two different business models: Vendor and Seller. The Amazon website, despite its unified appearance, is fed by two quite different platforms. Amazon, once a humble online bookstore, has switched on its “beast mode”. On the one hand we have Seller Central, where anyone can sign up, add or connect to product listings, and sell their products to the Amazon audience of buyers. Here, you are the seller of record and in control of listings, shipping and customer service. On the other hand, there’s Vendor Central, a wholesale platform whereby you sell product directly to Amazon, and Amazon themselves handle selling and shipping it. They are the seller of record. Once you sell your product to them, the onus is on Amazon to sell the items and get them in buyers’ hands. Amazon is the online equivalent of a traditional retailer in this model. If you want to manufacture or distribute product, Vendor is a great sales partner. If you want to sell your product directly to buyers, Seller Central gives you all the tools necessary to do so. Either way, Amazon has you well covered. With direct access to Amazon, an ecommerce juggernaut with 44% of online sales in the U.S. and still growing quickly, what will happen to traditional B2B supply chains? In my opinion, they are on borrowed time in many areas. Their days are numbered. It’s just getting too easy, too efficient and indeed too profitable for a company to not sell directly to the end consumer. Amazon has a finger in every pie. Sometimes two. If you think about it, Amazon is several very different companies under one name. They have a logistics department which you can use as a standalone service provider. They offer movies and streaming TV. They offer cloud computing, payment and marketing services. They are the manufacturer of products like the leading ebook reader, Kindle, and the leading smart speaker, Echo. If you get caught in the middle, you might end up in a mini turf war. But the Amazon that most of us know best is seen through their retail website. It’s a place to buy all manner of things, ideally with “Prime”, and have them arrive in record-breaking time with no-hassle refund policies and great buyer protection. Who wouldn’t get excited about one-hour Christmas sock deliveries? What about Amazon FBA? This world-leading logistics service is sandwiched between the retail website and third-party marketplace sellers, much like a slice of succulent tomato between the patty and the lettuce in your favorite burger. I must be getting hungry. FBA is where you send your product to Amazon, but you aren’t “selling” it to them as a Vendor. They are providing third-party logistics (3PL) only, and will ship your product to buyers when orders come in, and charge you for it. You don’t have to use it, but sales will be higher if you do. Vendor and Seller might seem similar, particularly as many marketplace sellers use FBA, but the two platforms don’t share the same goals. Seller Central is happy for you to sell product directly to consumers, as long as you provide a consistently high level of service. Amazon pockets a percentage of each sale as commission. With Vendor, Amazon wants to buy product they think will sell well, at wholesale costs, thus securing deep margins to drive low prices for their customers. Seller Central and Vendor Central, while not at odds with each other technically, will at times pull in different directions. If you are unlucky enough to get caught in the middle, you might end up in a mini turf war. Should brands use Seller Central or Vendor Central? Selling to Amazon through Vendor Central seems like a natural fit for many brands. It tallies with the old world of long supply chains, distributors and retailers. Contrast that to selling on Amazon using Seller Central, as a third-party marketplace seller. That is the new world of direct-to-consumer sales. Both Vendor and Seller are available to brands today, and both can be valid choices. Amazon Vendor and Seller have their own unique advantages and, of course, they naturally have some related disadvantages. There is no right or wrong approach. It’s all about the business model that you are best equipped to support, and your longer-term goals for the company’s growth and direction. Being an Amazon seller allows you to control pricing and, therefore, margin. This can be very important for brands. You also have full control over stock range and depth. You are in control of the experience, the listings and the marketing. This way, Amazon is just another channel you sell on, similar to your website or other marketplaces. So, Seller has better profit margins but it is also more “work” to manage and make a success. Most brands can expect significant sales volumes, so will need a dedicated internal team or a partner agency to run it effectively. Specialized IT systems will probably be necessary too, and there will be a steep learning curve, with many technical nuances. Accurate how-to resources can be lacking. Amazon Vendor affords you the ability to leverage Amazon’s own marketing tools and incentives. You’ve sold the product to Amazon, and now Amazon want it sold. Forward purchase orders and guaranteed sales (cash) are a lovely perk. Vendor is also easier as you really don’t need to “manage” a great deal. Just ship cases and pallets to Amazon as and when they want them and take their money. But Vendor means lower margins and less control. You can shift more product faster and easier, but you must sell large volumes to meet the same level of profitability. Because you lack control of pricing and a direct relationship with buyers, you don’t get to learn the ropes, which will help broaden your options in the long term. Both Seller and Vendor allow brands greater control via Brand Registry. Both provide storefronts, and Seller now has some of the same marketing tools as Vendor. You get the Prime badge for Vendor and also Seller, as long as you use FBA or qualify for Seller-Fulfilled Prime. Can I use Vendor Central and Seller Central? This is a logical question, and the answer is yes, you absolutely can! Some people call it the hybrid approach. You can do it, but it’s easy to get your goals muddled if you are not careful. For example, if you sell via Vendor Central and are a brand or manufacturer, Amazon reserves the right to get first pick from your range. By extension, Vendor can, and often does, restrict your activity as a Seller. They can stop you from offering product as a Seller if you don’t also offer it to them as a Vendor, and can shut down your Seller account if it impacts Vendor sales. This is not the case for resellers, the policy only mentions brands. Seller, on the other hand, has a greater risk of performance violations and account suspensions. As you control the buyer’s overall experience, you cannot make many mistakes before Amazon will suspend you from selling. Suspensions can take weeks to months to resolve, which will be a big hit to the forecasted sales you come to rely on. There is no single approach that is right for every brand. A balanced use of both Vendor and Seller is often a good strategy, but therein lies the key word: strategy. You need to have one. Don’t jump in blindly. Have clear goals and ideas of how you work with these two models, or you risk getting cornered in a difficult relationship. Why are human beings the dominant species on Earth? Because we invented 24 hour drive thrus and Snapchat? Well… sort of. We are an innovative and adaptable species. We adapt to our surroundings and innovate to enhance those environments. Online sellers, be they brands, suppliers, retailers or manufacturers, need to embrace adaptation and change. Online retail and physical retail are changing. They are adapting to the rapid growth and capabilities of technology. Technology is changing buyer expectations and desires, so retail globally needs to adapt to those realities. Online sellers, be they brands, suppliers, retailers or manufacturers, need to embrace adaptation and change. They must not fear them, or fight against the tide. This is not to say they should flip direction carelessly, or jump on every buzzword. Some changes are fads, and don’t last. But don’t procrastinate on important changes either. Embrace a mentality of constant adaptation. Physical retail stores and traditional supply chains aren’t going away any time soon, but they are contracting and centralizing. Ecommerce will continue to grow, and you want to embrace this wave so you grow with it. That can mean cultural and structural changes to your company. We know it can be hard to plan, manage and execute. But I assure you, it’s possible and beneficial, with the right knowledge. The biggest success stories on Amazon are those where the seller embraced what the marketplace had to offer, and reacted accordingly. They came with a plan, but didn’t desperately hang on to it when reality got in the way. Neither should you. Matthew Ferguson can be contacted through Emanaged or Rich Insight.